A passionate look at how our image of God needs to be brought up to date. In all aspects of life scientific, sociological, political, cultural, ethical, psychological we no longer express ourselves nor understand our world as our forebears did even a hundred years ago. Yet we are expected to believe in and worship a God with concepts that have remained unchanged since the Middle Ages. Hence the sense of unreality about God, about religion, about the Church. So begins Adrian Smiths insightful and challenging book which argues that our very idea of God must be changed and brought up to date. 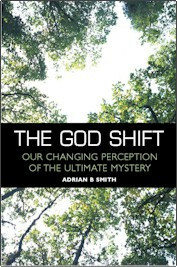 Smith, who is a retired Catholic missionary priest, examines thirteen factors in our contemporary life which he believes require a shift in our perception of God a shift which will ultimately make the reality of God central to our lives again. Smith believes that the Western world is becoming less and less religious but more and more spiritual, and that increasingly people no longer look to the traditional Churches for spiritual nourishment. It is to these people that Adrian Smith offers this book. He argues that there is no one way of relating to God and that each of us must make that discovery for ourselves. As he says, in this book he is offering a compass which I hope will assist spiritual explorers in the Christian tradition to locate where they are on their journey . . .